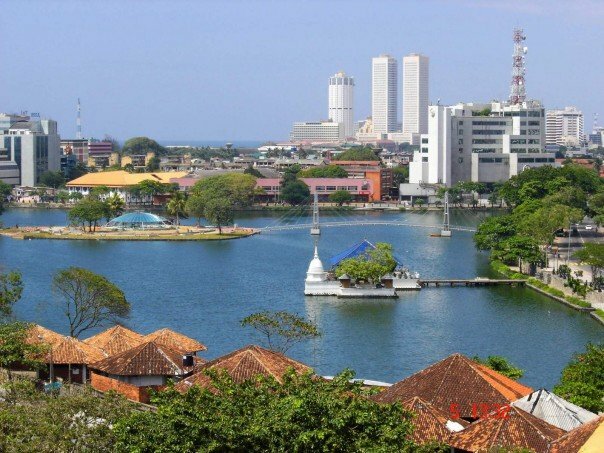 Best places to stroll around in Colombo – Explore Sri Lanka’s vibrant capital! The Colombo fort is one of the most significant commercial hubs in Sri Lanka. It features many interesting places to visit including several old buildings of cultural and historical importance. The Colombo Fort has a rich history similar to forts in Galle and Jaffna. Once visited you could witness some of the old colonial buildings displaying their unique colonial style architecture and structure. You will see the old Parliament building which is now utilized as the Presidential Secretariat. It’s worth visiting this area to spot the contrasting elements of modern industrialization and the colonial influence in the capital city of Sri Lanka. When in Colombo Fort, an essential experience is to spend some time in the amazing Dutch Hospital. Especially if you are in search of an ideal place to shop and enjoy a delectable meal. The open verandas and its unique wooden architecture give a glimpse of Dutch Colonial charm. This place is easily accessible from many hotels in Colombo the likes of The Kingsbury Hotel, from where the Dutch Hospital is 3 minutes away. Located in the heart of Fort, the President’s House was built in the reign of Van Anglebeck, the last Dutch Governor in Sri Lanka (1794-1796). It is also known as King’s or Queen’s House. Set in about 4 acres of land, this residence gained much attraction due to the Gordon Gardens. This harbour retains its significance as the busiest port in Sri Lanka mainly due to its ideal location in the Indian Ocean. Its splendid fusion of historic structures and modern architecture make it an important sight to behold! The Holistic Benefits of an Ayurveda Massage – For a More Content “You”! Discovering the Many Attractions of Bali – Adventures in the Island of Gods! Why You Need to Stop Everything and Enjoy a Health Retreat – Time to Heal ASAP!